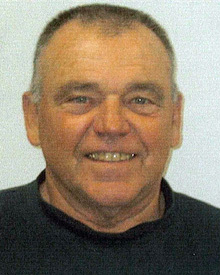 Robert Ruzicka has been a member of the FCSLA (with the acquisition of Catholic Workman in 2004) since 1976. He is a very active member in his local branch, W045, in Cedar Rapids, IA. Since the flood waters reached 31.12 feet on the Cedar River in Cedar Rapids, IA on June 12, 2008, Bob has been very busy offering many skills needed to help rebuild the St. Wenceslaus Church and gymnasium. He has volunteered 1,800 hours, and continues as Project Engineer to finish restoring the church and gym. Bob worked with volunteers of all ages on this project that still continues today. His greatest joy is to see that many volunteers who helped with this project receive the accolades instead of himself. "I could not have done this without the many volunteers of all ages who did not hesitate to roll up their sleeves and pitch in to help. It is very rewarding to see the finished results of a worthwhile project and realizing you helped to put a smile once again on a resident of Cedar Rapids," he said. FCSLA was proud to nominate our Fraternalist of the Year, Robert Ruzicka, to the NFCA for further consideration as the NFCA's Fraternalist of the Year. Congratulations Bob!